Every so often a written work comes along that changes the course of history. Thomas Paine’s pamphlet, Common Sense, written in 1775-76 and published in 1776, is such a work. Common Sense challenged the authority of the British government and royal monarchy, fanning the flames of revolution. Paine’s use of “plain” language spoke to the common people and was the first work to openly ask for independence from Great Britain. Although the colonies were already heading toward revolution when Common Sense was published, Paine’s work certainly helped fuel the fire. At the time of publication, Common Sense had the largest sale and circulation of any book published and, as of 2006 according to Wikipedia, was still the all-time best-selling American title. 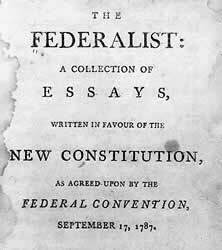 The Federalist Papers (originally titled The Federalist) is a collection of 85 articles and essays written by Alexander Hamilton, James Madison, and John Jay promoting ratification of the U.S. Constitution. So how do Thomas Paine’s great pamphlet Common Sense and The Federalist Papers speak to us today in the twenty-first century? Join Barb and John as they discuss these historic documents and their importance in America today. 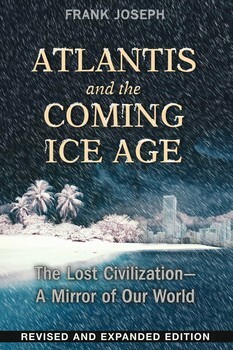 Joining Amerika Now during the second hour is bestselling author and Atlantis researcher, Frank Joseph, who will be discussing his latest book, Atlantis and the Coming Ice Age: The Lost Civilization–A Mirror of Our World. Drawing on the latest climatology studies and papers from Pentagon and NASA analysts, he reveals that we are on the brink of a destructive phase in the global cycle of change as predicted by the Atlanteans and the Maya. The world’s current political, economic, and cultural deterioration is paralleled by unprecedented storms and record temperatures, massive solar flares, tectonic disturbances, and fissuring sea floors that could release dangerous reservoirs of methane gas into the environment–all of which signals we are headed into another ice age. Frank Joseph has authored more books on Atlantis than any other author. 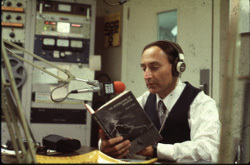 In addition, Frank’s been the Editor of Ancient American magazine as well as being the author of numerous other books about prehistory, which have been republished in many foreign languages. Frank is a frequent guest speaker at various metaphysical and archaeological societies in the U.S. and abroad. You can find his books at Amazon and booksellers nationwide. Nebula and Hugo Award-nominated writer of science fiction and fantasy, Carolyn Ives Gilman, joins the show during the final hour to discuss her latest book, Dark Orbit. How do we know what we know? We can only perceive the world through our senses, but those senses just feed data to our brains, which then decides how to interpret the information. How do we know that what we smell, hear, see, touch and taste is what we think it is? Smithsonian Curator Carolyn Ives Gilman explores these questions and ideas in her new book, Dark Orbit (Tor-Forge, July 2015), a sci-fi thriller that will make readers question everything they think they know. For instance, how do we turn input from our senses into something we can use? Can we trust our perceptions when we run into something we don’t understand? What does it take to distinguish our thoughts between justified belief and opinion? Carolyn will discuss how we acquire knowledge and her theories about our senses and if we can ever truly know the world. In her book, Dark Orbit, humans have colonized 20 worlds in a second wave of expansion from Earth. (The first wave was done so long ago it is lost to memory, and explorers are still finding new worlds previously colonized by humans.) An extraordinary planet is discovered that appears to be overflowing with what seems to be dark matter. Scientists travel 58 light years to explore the planet, which is when they find things beyond their understanding, perception, or belief. It is up to just one scientist to figure out the planet’s mysterious power, which lies beyond the boundaries of known science, in order to save their lives and get home. Carolyn Ives Gilman is a Nebula and Hugo Award-nominated writer of science fiction and fantasy. Her novels include Halfway Human and the two-volume novel Isles of the Forsaken and Ison of the Isles. Her short fiction appears in many Best of the Year collections and has been translated into seven languages. Carolyn lives in Washington, D.C., and works for the National Museum of the American Indian. CALL 800-259-5791 TO SPEAK WITH CAROLYN GILMAN.